NIGERIA – Its already 60 days and the chances of recovery of a newborn that was stolen at a general hospital in Kaduna are becoming slimmer as there is no any hint from hospital management, state government and security agencies about her whereabouts. 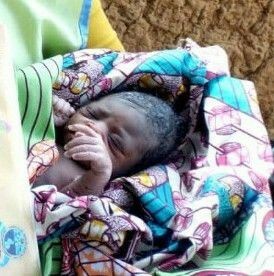 Many who witnessed and heard about shocking sudden disappearance of a day old baby girl born to deaf parents, Hajiya Salamatu 28 and her husband, Mallam Kabir a welder through C-section at Yusuf Dantsoho Memorial Hospital, Tudun Wada, Kaduna North local government area of the State are still asking the question ‘how’ months after. Both parents could only demonstrate their feelings with their body language as they shared their bitter experience with well wishers because they are deaf and dumb, but their relative did explain what they knew about the missing baby and scenes that played out around the unheard story of thief in general hospital. To people around when it happened, it remained a mirage. Even though the parents could not speak, their reaction continues to render the air with tears and expression of agony by those who heard their story. ….Keep your eyes with us with update.